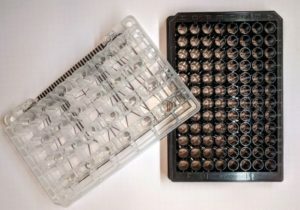 BioChips and Multiwell plates for a variety of use cases. 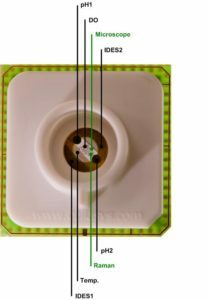 Multiparametric BioChip for measurement (impedance, dissolved oxygen, pH, temperature) of cellular vitality and changes in bioimpedance on glass substrate. 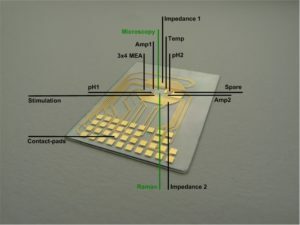 Multiparametric BioChip for measurement (impedance, dissolved oxygen, pH, temperature, electrophysiological activity) of cellular vitality and changes in bioimpedance on glass substrate. Customized multiwell plates with various micro-sensors.